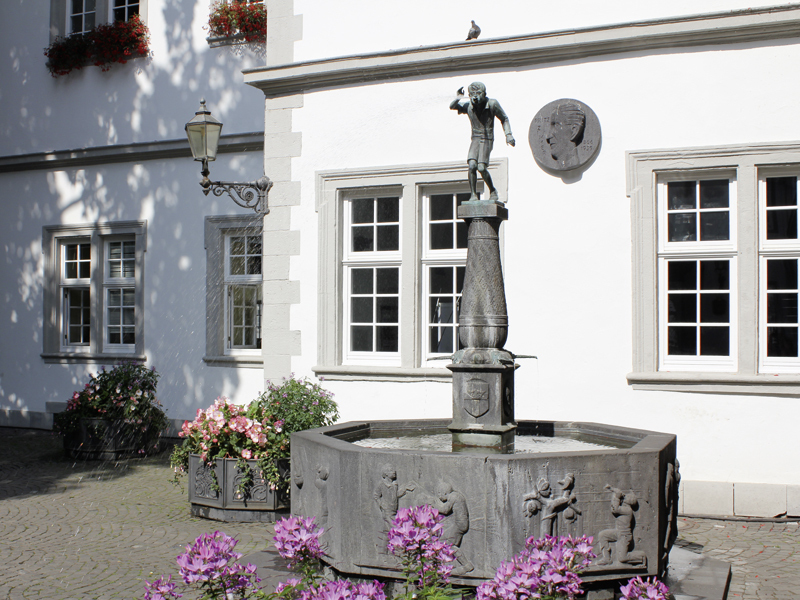 The Schängelbrunnen fountain is a symbol of Koblenz and stands on Willi-Hörter-Platz, today’s Rathaushof, encircled by the renaissance and baroque buildings of the Jesuit ensemble. 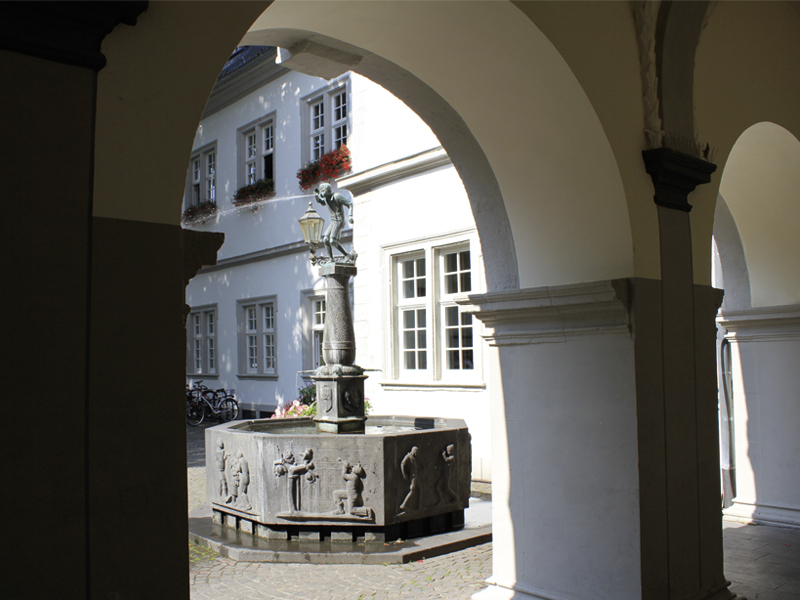 It was designed in 1940 by Carl Burger and is dedicated to the Koblenz-born poet, Josef Cornelius (1849-1943), who wrote the lyrics to the well-known Schängellied, the anthem of Koblenz. 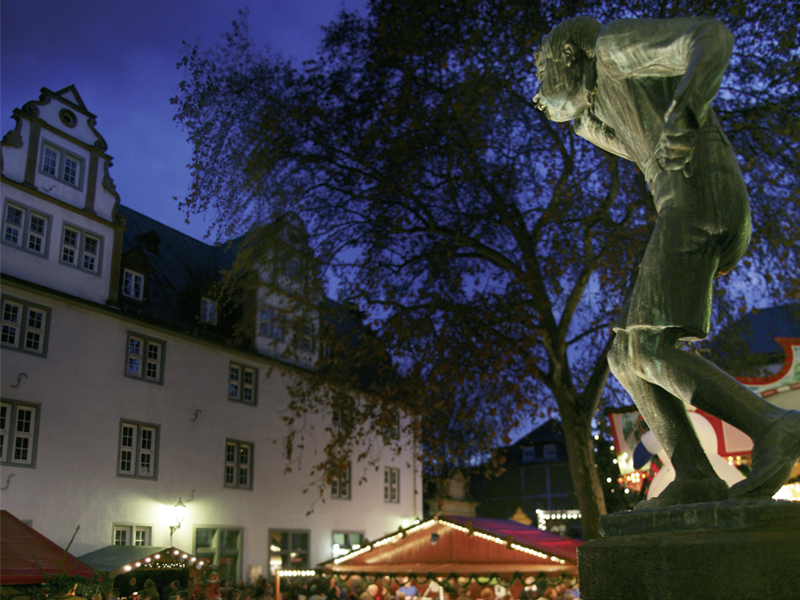 The term "Schängel" is rooted in the 20 year allegiance of Koblenz to France (1794-1813). 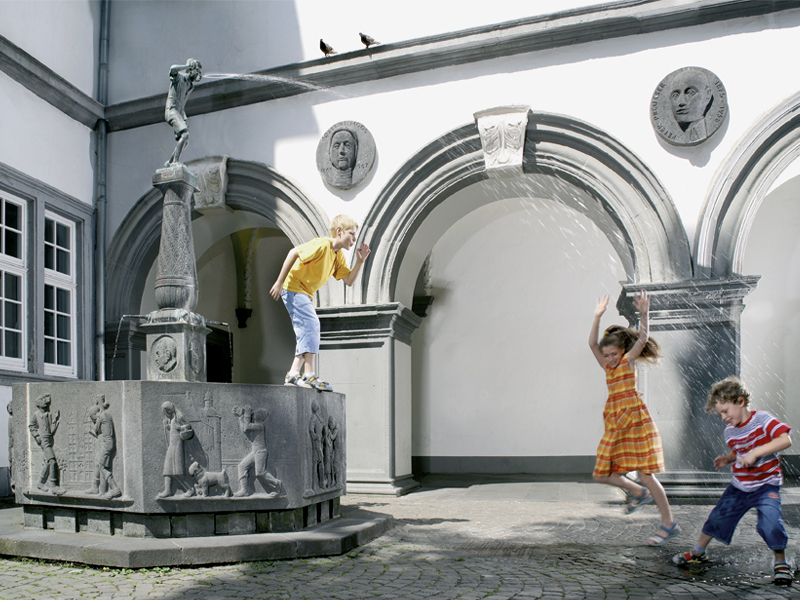 Children born in this period were referred to as German-French children and were often called Jean (German: Johann or Hans). 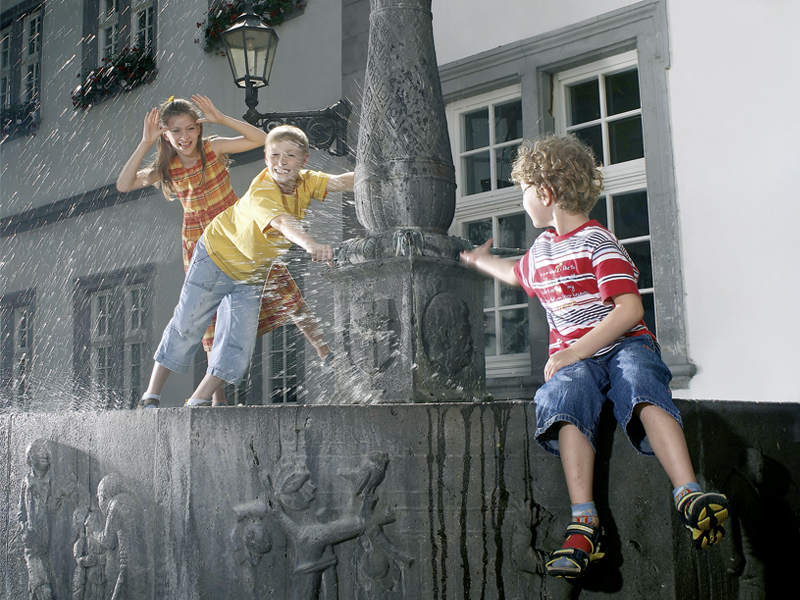 In the Koblenz dialect “Jean” was often changed to “Schang”. Over time this eventually developed into Schängel, a diminutive of Schang. 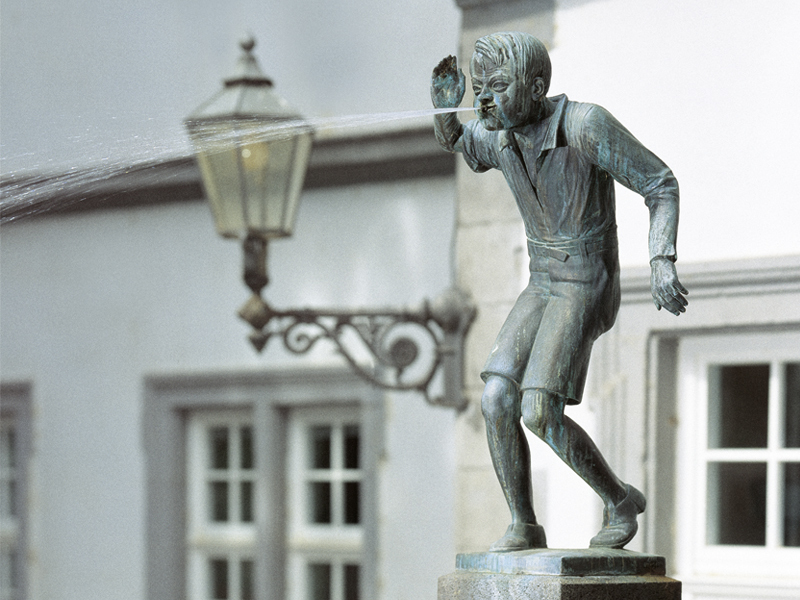 Today all Koblenz-born citizens see themselves as "Schängel" and love the little fellow who stands for laughter, quick-wittedness and the Rhenish lifestyle. 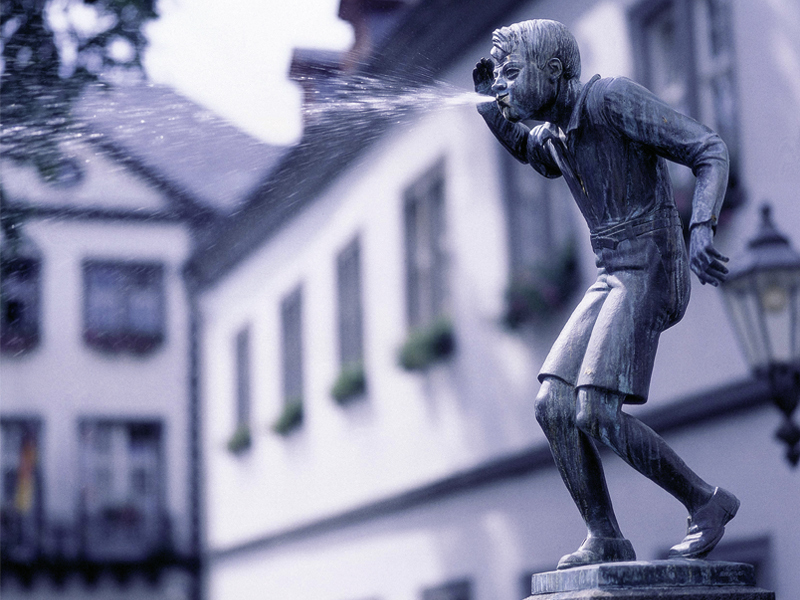 The bronze figure spits a stream of water several metres into the fountain basin beyond in an irregular rhythm.